Meet some of Atlanta’s leading dentists and orthodontists. Learn about their practices and areas of expertise, discover the cutting-edge technologies and treatments they employ, and find out what sets them apart from their colleagues. You can also find the complete Top Dentists listings in our March 2019 issue. 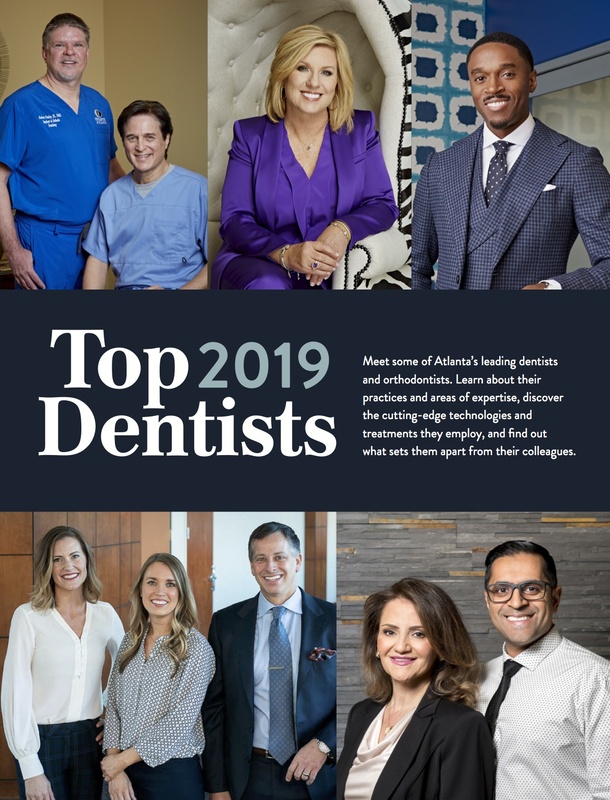 In the spirit of helping you achieve a more healthy and attractive smile, Atlanta magazine has enlisted a professional marketing company, Professional Research Services Company of Troy, Michigan (PRS), to identify the Top Dentists in Atlanta. Together, we surveyed practitioners in general and pediatric, oral and maxillofacial surgery, orthodontics, periodontics, prosthodontics, and endodontics, asking them to reveal the best dental professionals in our area. These Top Dentists have been scrutinized for the legitimacy of their licenses as well as their status with the Georgia Department of Community Health. While there are outstanding professionals who aren’t listed here, we hope you’ll give these dentists special consideration when choosing a dental professional.